A healthy pancreas produces just enough insulin on an as‐​needed basis. As a result, blood sugar levels stay within the normal range. People with type 2 diabetes (fat diabetes) produce insulin. Sometimes, they produce abnormally large amounts of insulin. However, their body does not respond normally to it. As a result, their blood sugar tends to stay abnormally high. People with type 1 diabetes (thin diabetes) have stopped producing insulin. They have to take insulin shots. As a result, they tend to have bigger swings in blood sugar levels. If left untreated, diabetes mellitus causes high blood sugar. Severe high blood sugar causes four basic symptoms. The excess sugar leaks out through your kidneys. It takes a lot of water with it. Because you lose so much water through your kidneys, you get very thirsty. In severe cases, the body produces ketones, including acetone. They cause the breath and body to smell like fruit. 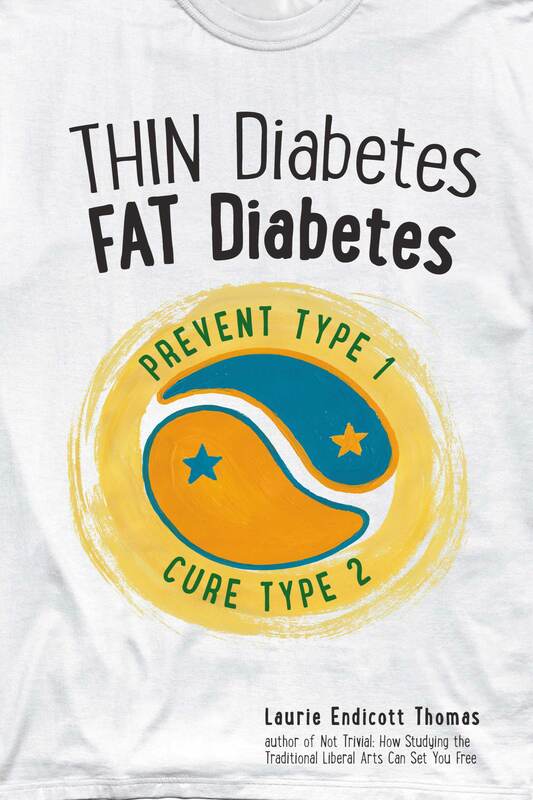 If you have thin diabetes (type 1 diabetes mellitus) it means that your pancreas is missing or is so badly damaged that it cannot make enough insulin to keep you alive. Type 1 diabetes is typically the results of an autoimmune disease: the pancreas is being destroyed by the body’s own antibodies. This problem could be triggered by a reaction to a cow’s milk protein that looks a lot like a protein in the pancreas. French doctors called this problem thin diabetes (diabète maigre) because it caused rapid weight loss. 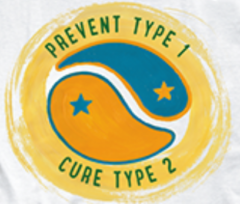 Type 1 diabetes has been called juvenile diabetes because it often strikes in childhood, but it can start in people of any age. Since people with type 1 diabetes need to take insulin shots, type 1 diabetes has also been called insulin‐​dependent diabetes. However, many people with other forms of diabetes are receiving insulin. If you have fat diabetes (type 2 diabetes mellitus), it means that you are a naturally thin person who is eating too much fat. To avoid storing the fat from your food, your body is resisting the effects of the hormone insulin. The insulin resistance has gotten so bad that you have lost control of your blood sugar. Weight loss of any cause will solve this problem. Switching to a low‐​fat, high‐​carbohydrate diet will quickly restore your blood sugar control by making your body more sensitive to insulin. French doctors call this condition fat diabetes (diabète gras) because it results from having too much fat in the food and too much fat in the body. It has also been called adult‐​onset diabetes, but it is now becoming common in children. It has been called non – insulin‐​dependent diabetes, but many people with this condition are now taking insulin. Gestational diabetes is a temporary form of diabetes that occurs during pregnancy. Pregnancy hormones naturally make the body a little bit resistant to the effects of insulin. The mild insulin resistance in a healthy pregnancy is good. It helps the mother provide a steady supply of blood sugar to the baby. But if the natural insulin resistance of pregnancy is added to the insulin resistance that results from the body’s attempt to avoid gaining too much weight, the woman can lose control over her blood sugar. This is dangerous for the mother and the baby. MODY is one of the rare forms of diabetes mellitus that are truly genetic. MODY seems like type 2 diabetes because it is relatively mild. However, it happens in young, thin people. In cases of MODY, the pancreas is making enough insulin to keep you alive, but not enough to keep your blood sugar within the normal range. Often, this problem is so mild that it is not noticed until the person has routine bloodwork, or until someone else in the family gets a diagnosis. To get MODY, you have to inherit a single defective gene, from either parent. If you have MODY, each of your children will have a 50% risk of having MODY. Several different subtypes of MODY have been identified. Each is the result of a different gene mutation. The treatment for MODY depends on which type of MODY you have. Infantile diabetes is easily mistaken for type 1 diabetes because it results from a severe shortage of insulin. However, the patients are generally under 6 months of age. Unlike patients with thin diabetes, patients with infantile diabetes do not have antibodies to their own pancreas. Infantile diabetes is treated with insulin shots. However, the condition sometimes goes away on its own. LADA is actually a form of type 1 diabetes. However, the destruction of the pancreas is happening so gradually that the patient is often given a misdiagnosis of type 2 diabetes at first. Water diabetes has nothing to do with blood sugar. It results from the body’s inability to retain water. Some cases result from head injury. In those cases, the brain is not producing antidiuretic hormone. In other cases, the kidneys are not responding to antidiuretic hormone. Type 1 can be triggered by a protein found in cow’s milk. Thin diabetes (diabète maigre in French) is the severe, incurable form of diabetes. If you have thin diabetes, it means that your pancreas is not making enough insulin to keep you alive. This damage to the pancreas can be caused by antibodies to a protein in cow’s milk. Fat diabetes (diabète gras in French) is the mild form of diabetes that goes away if the person loses weight. Fat diabetes is due to insulin resistance, not insulin shortage. The body is resisting insulin in an attempt to burn the fat from the food, instead of storing it. A person can have both problems (insulin deficiency and insulin resistance) at the same time. Low‐​​fat, high‐​​carbohydrate diets are good for people with any form of diabetes because they make the body more sensitive to insulin.